There’s nothing quite like the taste of fresh berries. 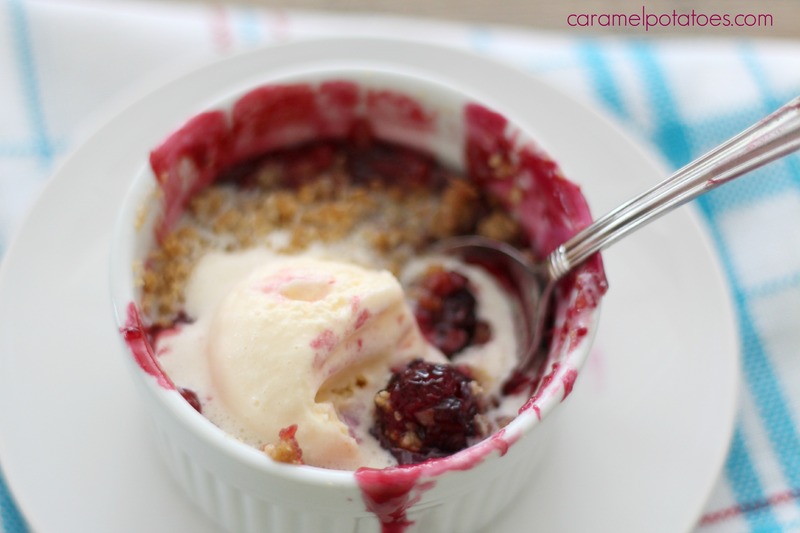 This crumble celebrates those berries in a light, no-fuss dessert perfect for any special occasion or a lazy weekend at home. 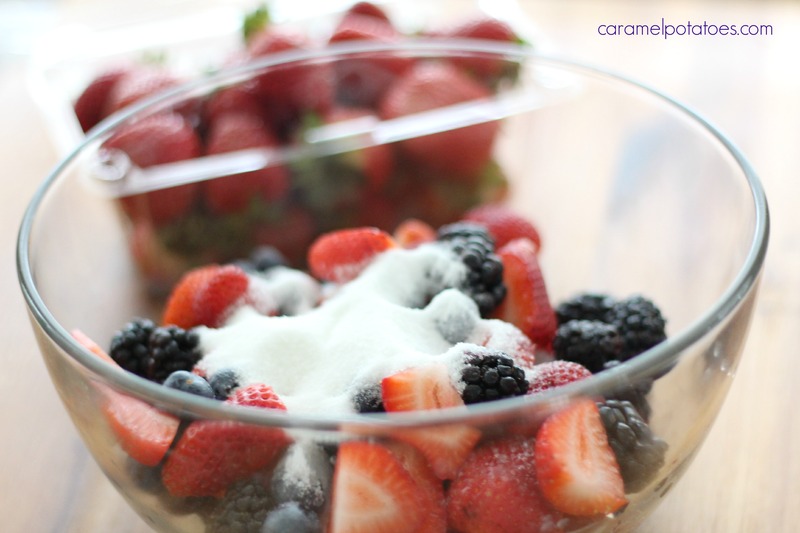 Of course we start with a mix of fresh berries. I used strawberries, blackberries and blueberries. Top it off with a sweet little oat mixture and bake – simple, but results are irresistible! What could be better . . .
Of course, a little scoop of ice cream couldn’t hurt. Preheat oven to 350 degrees. Lightly coat 6 (6 ounce) ramekins or an 8×8 baking dish with cooking spray. 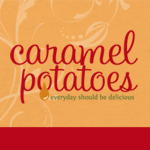 In a large bowl combine the flour, brown sugar, 1/4 cup sugar, oats, and cinnamon. Use a pastry blender or fork to cut in the butter until crumbly. Keep cold until ready to use. In a large bowl combine berries and sprinkle with lemon juice. 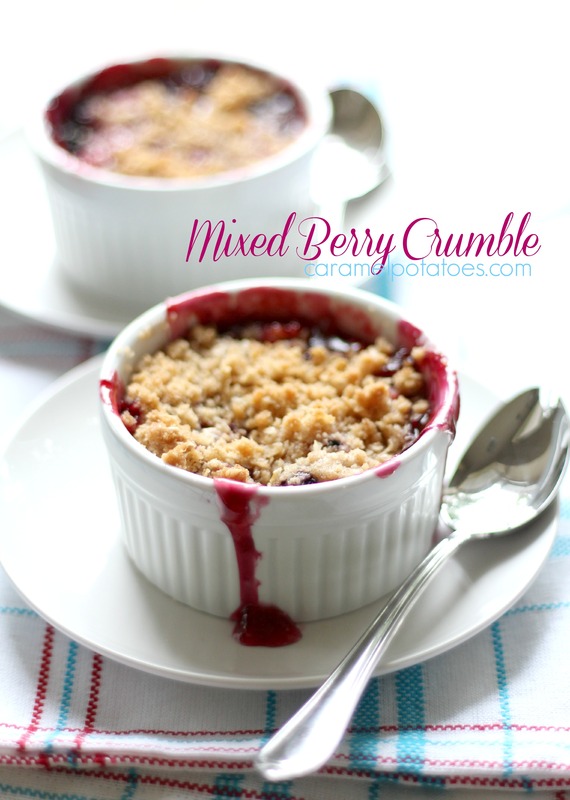 Combine remaining 1/2 cup sugar with the cornstarch and toss with berries. 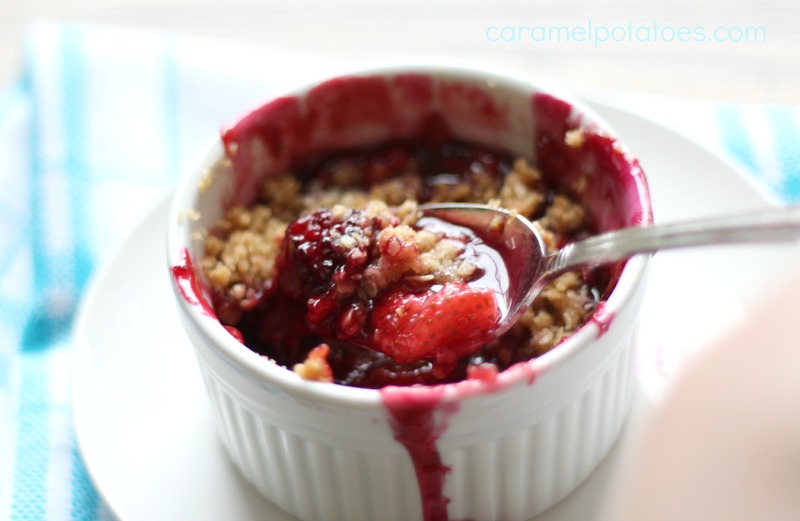 Evenly distribute the fruit between the ramekins and top with crumble mix. 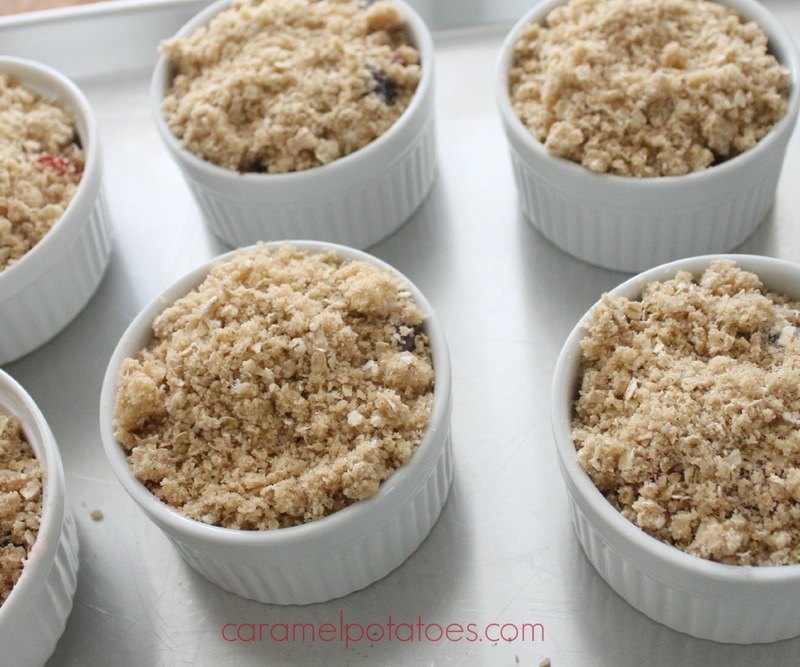 Bake ramekins on a rimmed baking sheet for 30-35 minutes or until fruit is bubbly and crumb topping is lightly browned. Serve warm. I’m drooling over this one. I need to make this soon!